Mehndi designs for Pakistani brides – Mehndi is a type of paste which is usually drawn on the hands and foot of girls on some special occasions. It is an old tradition of Pakistan and India. Girls like mehndi on all the special events of their life. Mehndi looks really very beautiful in girls’ hand. Pretty girls look gorgeous and attractive in this old tradition. In many areas, this tradition also becomes an important part because it is an indicator which indicates the pleasure and happiness of some important occasion. It indicates that the event of happiness is near and we are ready to celebrate it. Girls in marriages use mehndi to increase the beauty of their hands. On the other days of marriage like valima, Barat, and mehndi (a day of marriage) this old colorful tradition is the first choice of all women. Mehndi not only looks beautiful on hands but also look stunning on foot. Mehndi designs of girls are of several types. Some girls like mehndi designs of long style which starts from finger and ends on the joint of hand. And some like short designs which cover only the hand. Both the designs are trending. But the mehndi designs for foot are of the short style which starts form fingers and ends on the ankle. Mehndi increases the prettiness and attraction of the hands of brides. It is because of its brown color which suits the skin of every color. That’s why not only in the subcontinent but also in other countries this tradition is adopted by many people. Because it is not only the tradition of only some countries it is a source of prettiness for all the women. There are also different and attractive designs of mehndi. These all designs are impressive and attractive. However, the main point is this that your mehndi must be original and the one who will draw this on your hand should be professional. Mehndi also used to color the hair of women and men in rural areas. This is also an old technique to stay cool. The paste of mehndi is basically very cool and when it is applied to the hair head it cools the whole head. Mehndi designs of brides are very special. 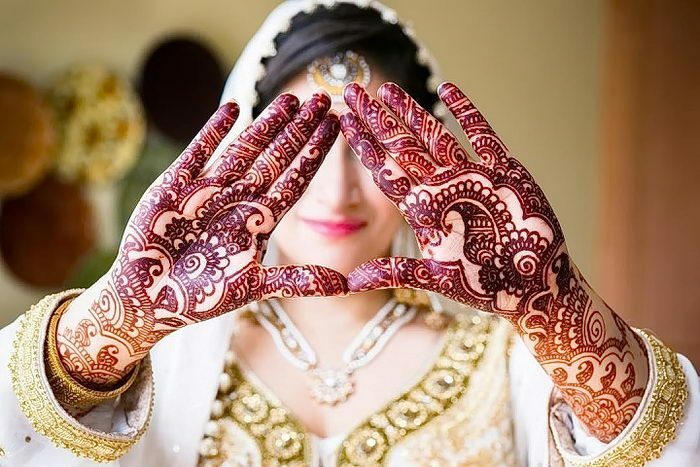 Parlor girls while giving the complete touch of makeup to bride also apply mehndi on the hands of the bride.